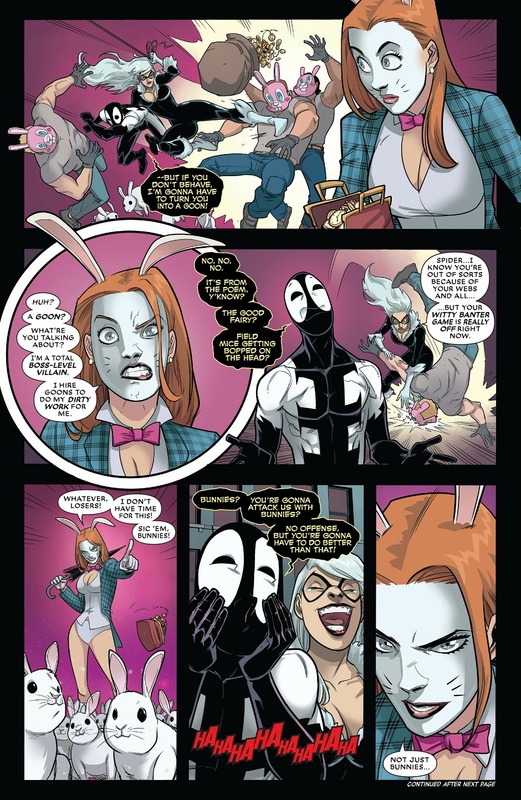 I get that Felicia's whole deal is that she isn't interested in the guy under the mask but this is why she should be at least a little curious. It wouldn't have helped with Otto but it sure would with Wade. 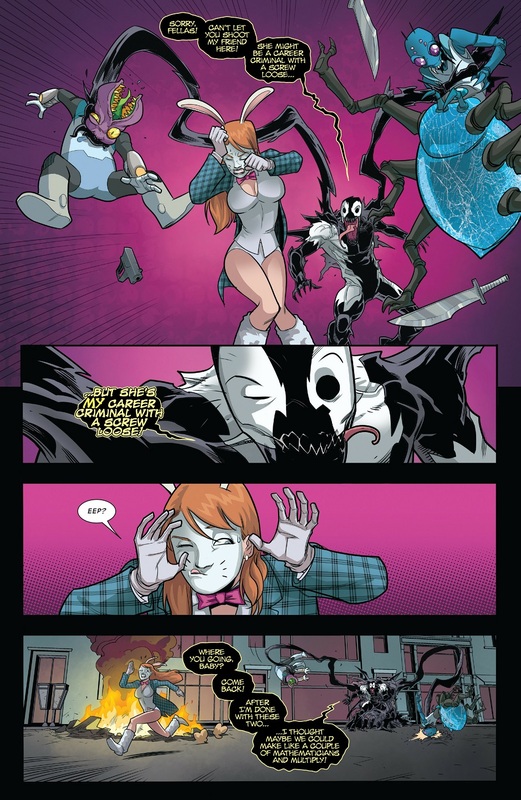 White Rabbit was kinda badass here. 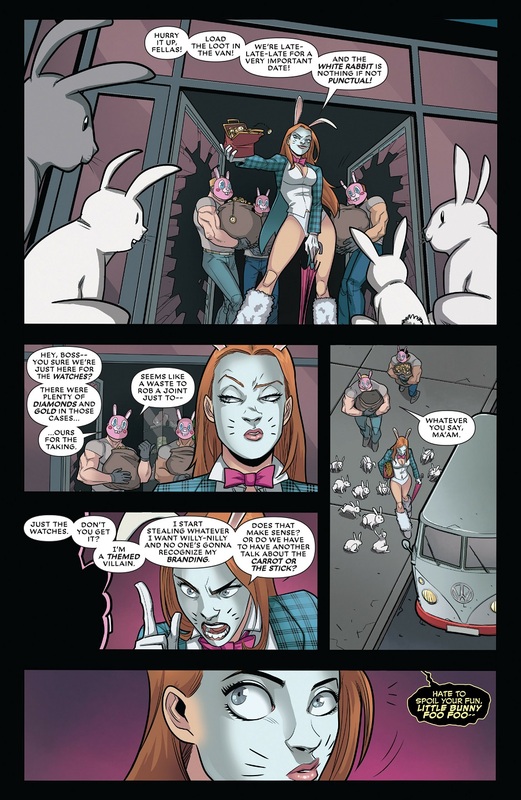 I am totally down with White Rabbit becoming the villainous equivalent to Squirrel girl. I mean she needs a dedicated arch enemy after all. I'll happily third this. This was a good outing. 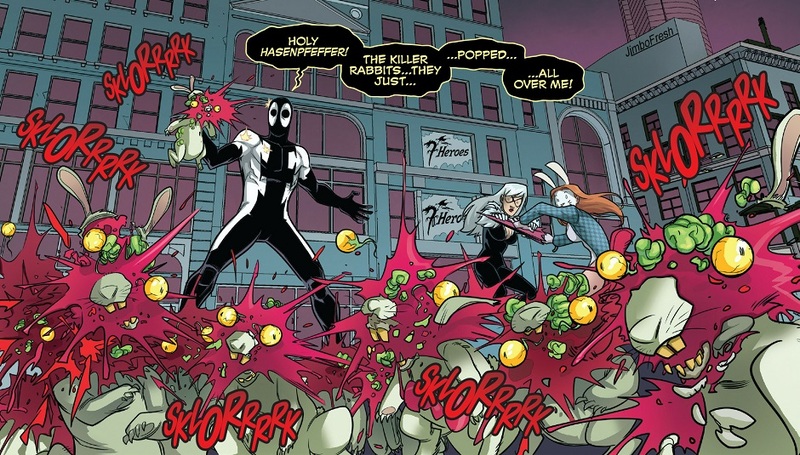 Wade has the symbiote now? 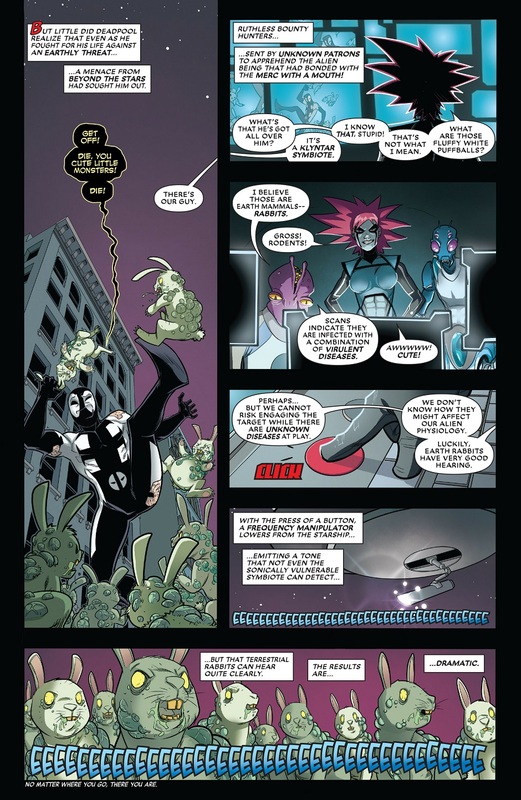 Well that explains why Felicia is there and not evil and slowly morphing into a female Kingpin like in Hell-cat. I feel so stupid for not buying this. 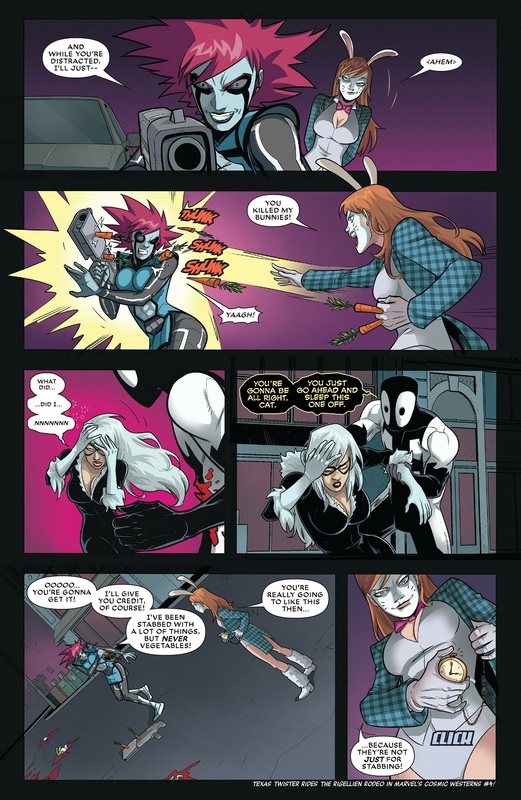 I thought "Back in Black" was the new Liefeld Deadpool project and went out of my way to avoid it. 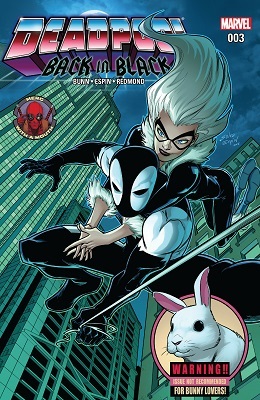 Bunn and Espin are a great Deadpool creative team so I'll have to backtrack and get this. 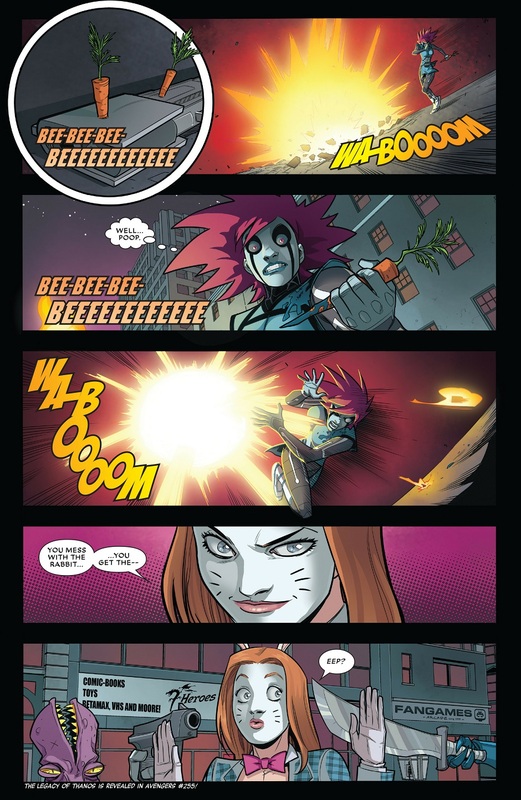 Why did you think this was the Liefeld project? The Liefeld thing is called "Bad Blood" so the double b title threw me off. I've also been consciously skipping reading the solicitations to avoid spoilers so I'm not as up to date on Deadpool as I'd like to be. Huh... is Deadpool using Mega Man's abandoned logo now? And did anyone else think "Son Goku" when we first saw the silhouette of the bounty hunter? The Monkey King or the Saiyan?